Probing Politics Affecting Saratoga Springs. By John Kaufmann. 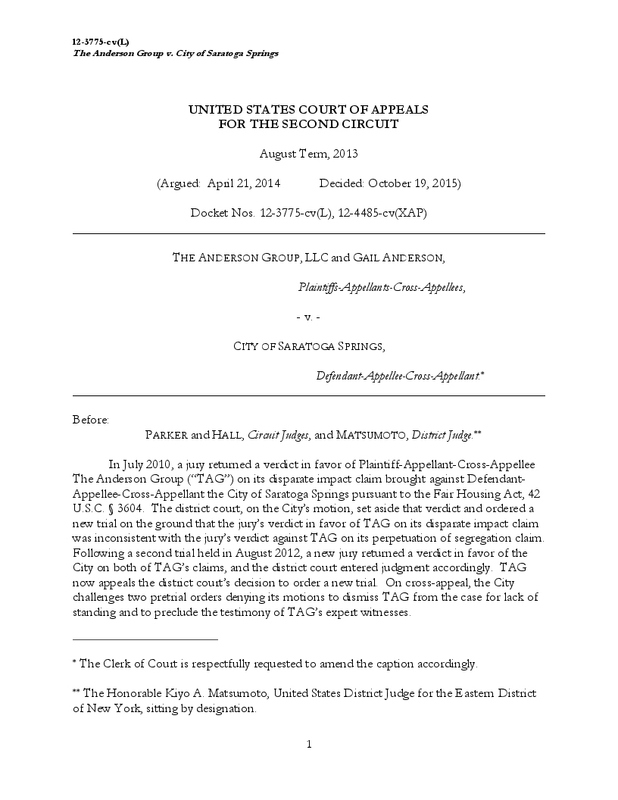 I have just received a copy of the United States Court of Appeals decision re The Anderson Group Versus The City of Saratoga Springs. For a lay person the decision is confusing. The court over-ruled a lower court ruling that had been in favor of the city. It appears to have awarded the Anderson’s $100,000.00 rather than the $1,000,000.00 that they were seeking. It did allow them to go back to court if they so chose to pursue the million dollars. What is unclear is where this leaves their plan to develop a major housing project in the city’s greenbelt. I will be seeking help from some attorneys to help clarify this. Thanks, John, for once again putting important news out promptly. Looking forward to more information on this. Saratoga Springs Politics Blog at WordPress.com.